To be the premier program in our region while also providing the opportunity for the athletes to obtain the highest goals their commitment level will allow. 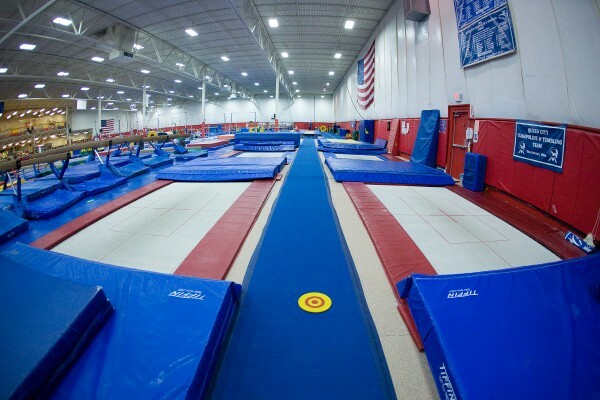 Over the years, QCTNT members have learned that there is much more to Trampoline and Tumbling than sport. There is the energy that comes with physical conditioning; the fun of competition; the sense of effort and friendship; the realization that work and discipline in a fun ﬁrst environment can lead to the pleasures of achieving personal goals; the conﬁdence that comes with mastering something you couldn't do before; and the good feeling of just being in an exhilarating atmosphere and knowing you did a good job! Our students have learned too that the habits of discipline, hard work, and commitment to goals they acquire as members in our program carry over into their school work and their lives as a whole. Everyone who sticks in and tries is a winner, even long after they have grown from the walls of QCTNT. Develop happy, healthy, responsible athletes - Queen City/Kids First Mission Statement. Safety through progressions – Keep the kids safe with attention to detail and proper sequential instruction, understand the sports progression and rules. Fun First, skills second - Build conﬁdence through ﬁtness and fun. Form ﬁrst and skills second -safe environment and to raise the child’s level of self-conﬁdence through achievement. Self Esteem is earned not given - Our coaching goal for this program is to use the sport of trampoline and tumbling as a mechanism to develop intrinsic motivation. Marathon Mentality - The character skill of delayed gratiﬁcation is absent with many youths today. There is no better way than sports progression over a period of years to equip the kids with the ability to delay gratiﬁcation in favor of the greater achievement. Coach the kids with the long term in mind; never short change them for short term glory. Friendly, Fun, Fair but Firm - Discipline mantra combined with the Kids First Teaching Principles discipline statement.